Six pages from the Student Life newspaper from October 23, 1964. Features ads and pieces about the upcoming Homecoming celebration. 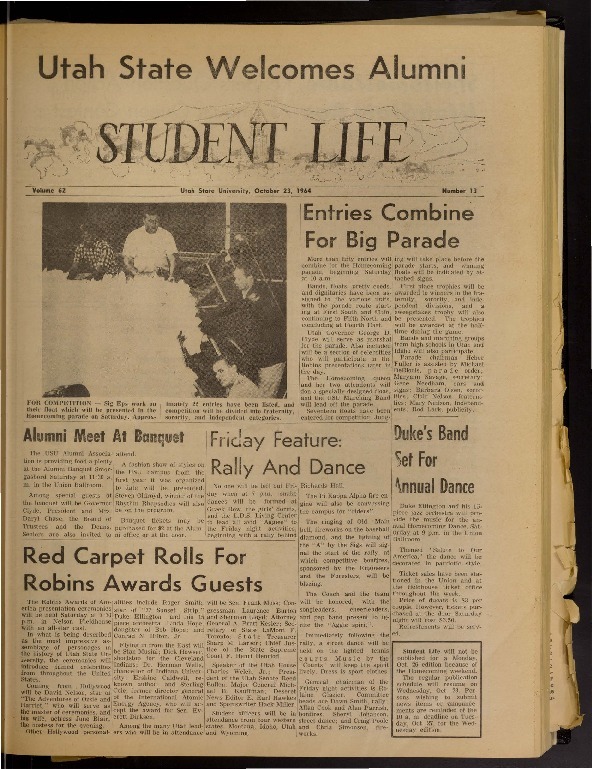 Student Life, “Six pages from the "Student Life" newspaper, October 23, 1964,” USU Digital Exhibits, accessed April 24, 2019, http://exhibits.usu.edu/items/show/18491.